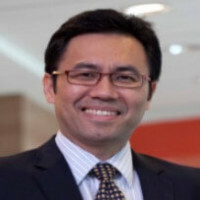 Mr T K Wong is the Chairman and Founder of Z Sports Group. Established and founded in 1993, The Fencing International Academy is the first private fencing academy in the country. With the most number of fencers training under them in Singapore, they have also established studios in Kuala Lumpur and Los Angeles. Mr T K Wong is also the Managing Partner of FarSight Capital, helping high tech startups by investing, nurturing and guiding them through their digital transformation.